There’s no getting around it: the modern workplace is designed for extroverts. 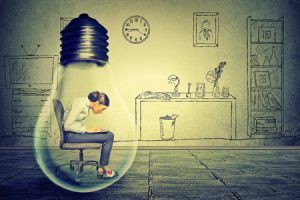 From the interview process to open-plan offices to networking events to promotional processes based on assertive behavior, it can be a tough maze for introverts to navigate. But as author and speaker Susan Cain reminds us in her well-received TED talk, The Power of Introverts, the loudest talker doesn’t always have the best ideas. Introverts bring a unique set of talents to the table—skills that businesses desperately need. But how do you help your less vocal employees reach their full potential in a work environment where the loudest voice gets the most recognition? Here are three ways to foster a culture of growth for every employee. In our extrovert-leaning culture, leadership is often associated with assertive, dominant behavior. But Cain points out that introverts make excellent leaders because they tend to assess risk more carefully, give other employees the opportunity to share and implement ideas, and foster a culture of creativity. The argument isn’t that introverts are better leaders than extroverts. It’s that each personality type brings different strengths to the table. By giving both extroverts and introverts at work the freedom to be themselves, the organization as a whole will benefit. Reconsider your office dynamics. Do introverted employees have a quiet space they can work? Do extroverted employees have plenty of opportunities to interact and bounce ideas off team members? Evaluate your interview process. Do you weigh extroverted characteristics more heavily? Do you hire based on gut feelings or non-biased evaluations? If your process leans toward extroverts, consider adding an introvert to the interview team. The employee review can be an intimidating experience for introverts. When managers judge quality of work based on how well an employee interacts with others or expresses himself verbally, introverts often get the short end of the stick. Part of being a good manager is recognizing the strengths in every employee and harnessing those strengths to create a more engaged, productive team. That doesn’t mean trying to make introverts be more extroverted (or vice versa). It simply means understanding what every employee brings to the table and connecting him or her with the resources to succeed. For introverts, that may mean listening more, not interrupting, and respecting their need for space. Rethink the employee review. Teach managers to assess quality of work and productivity during the review process rather than giving too much weight to personality characteristics. Of course, if the personality itself is creating conflicts with fellow workers or causing productivity snags, that should be addressed. But managers should recognize that a quiet worker isn’t necessarily antisocial, just as a gregarious worker isn’t automatically self-serving. Recognize that different is good. Train managers to value strengths that differ from their own. An extroverted manager may tend to interact primarily with the other extroverts on her team. But by doing so, she would be missing out on a significant portion of the talents and ideas she has at her fingertips. This may be the hardest thing to change because we often make decisions based on our gut feelings—even when we don’t know it. Still, it pays to take a close look at your hiring process and incorporate merit-based assessments and blind tests where you can. The very qualities that cause introverts at work to recede into the background (like listening instead of talking or preferring a book to a social gathering) often make them excellent leaders and thinkers. Use blind tests to reduce bias. Blind tests assess employees anonymously, giving employees a chance to evaluate the skills and abilities of the individual rather than judging someone based on external factors. Many tech companies already use them, and other industries have begun adopting these practices as well. Think twice before promoting. That extroverted individual who always seems to have the most ideas may be the best person for a promotion—but he may not. Be sure you have considered all your options and that you recognize both the strengths and weaknesses of your team members before you extend an offer. It’s important for all employees—both introverts and extroverts—to take time for self-evaluation. When we recognize the talents of every team member, we can build a workplace where the extroverted ideal is challenged and improved by truly collaborative teams. Improve your employee review process and foster cultural connections with an updated HRIS! Start your search today with our interactive HRIS comparison tool.